This listing is to reconize those that are running Kauffman Racing Equipment products and/or engines this year. Dave won his first in Division 2 in Super Gas at Cecil, Georgia. Peter won his first in Division 2 race in Super Stock at Bradenton Motorsports Park in Bradenton, Florida and then his second win at the 2nd Divisonal race in Gainesville, Florida. 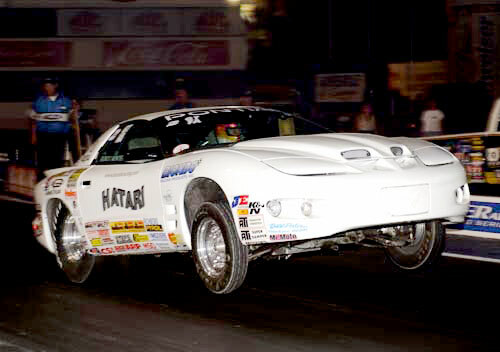 We reset the N/A door car record on the first outing with our brand new 2009 GXP at the Pontiac Nationals in Norwalk, Ohio. 7.254 @ 189.52. Qualified #1 in the Frantic Four Head Up race and finished with a Runner-up. Not bad for first time out on new car and engine combo.